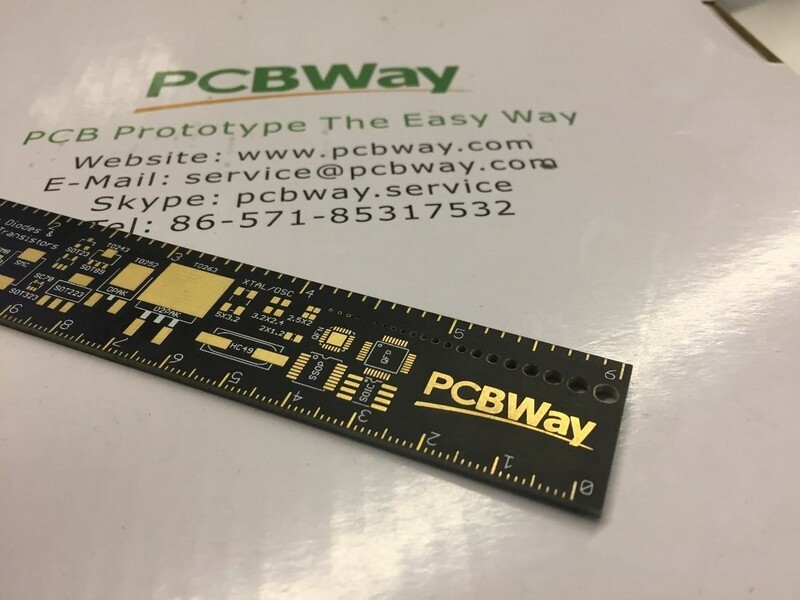 When I need PCB prototype and PCB assembly service, the first manufacturer jumps to my mind is PCBWay Because of their good PCB quality and excellent service, you can get a quick response to any questions. Recently I am planning to participate in makerfaire that held in my city. I plan to show my Arduino project and offer small gifts to the audience who likes my project. 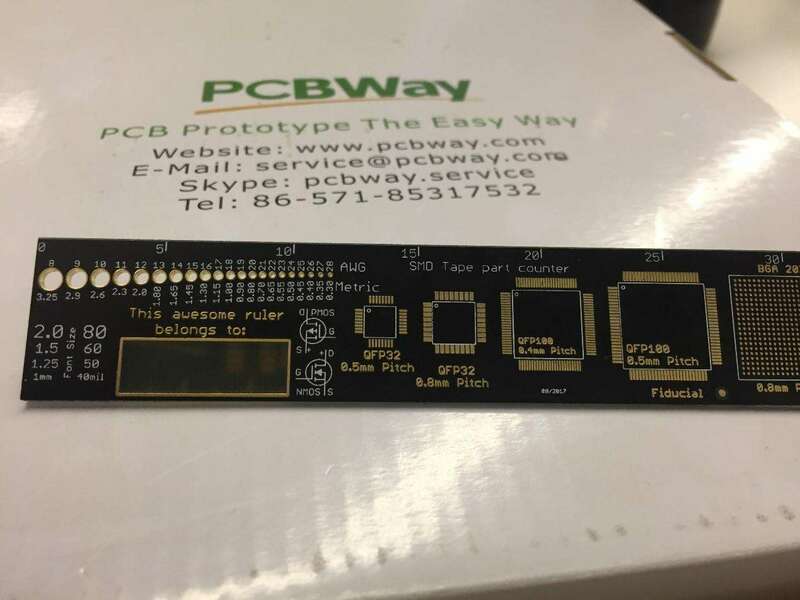 I chose PCBWay ruler as a gift that found in PCBWay open source community, it seems very good. This ruler looks beautiful, right? Good silkscreen, matt black solder mask, immersion gold, but did you find out anything wrong? Yes, the series of holes, only the first three holes were immersion gold. I don’t know why this problem happens as I noted that all the holes must immersion gold. 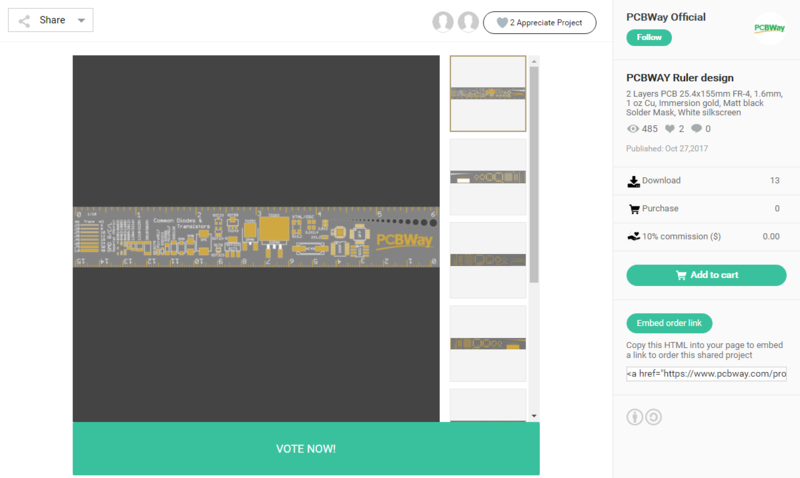 This is the first time I met a production problem with PCBWay. Ok, I guess there is a first time for everything. 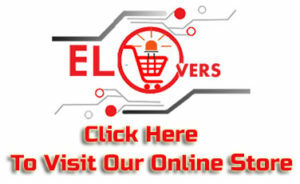 They have an online after-sale system, wow, it’s good. I upload the picture, submit the reason and wait for their reply. 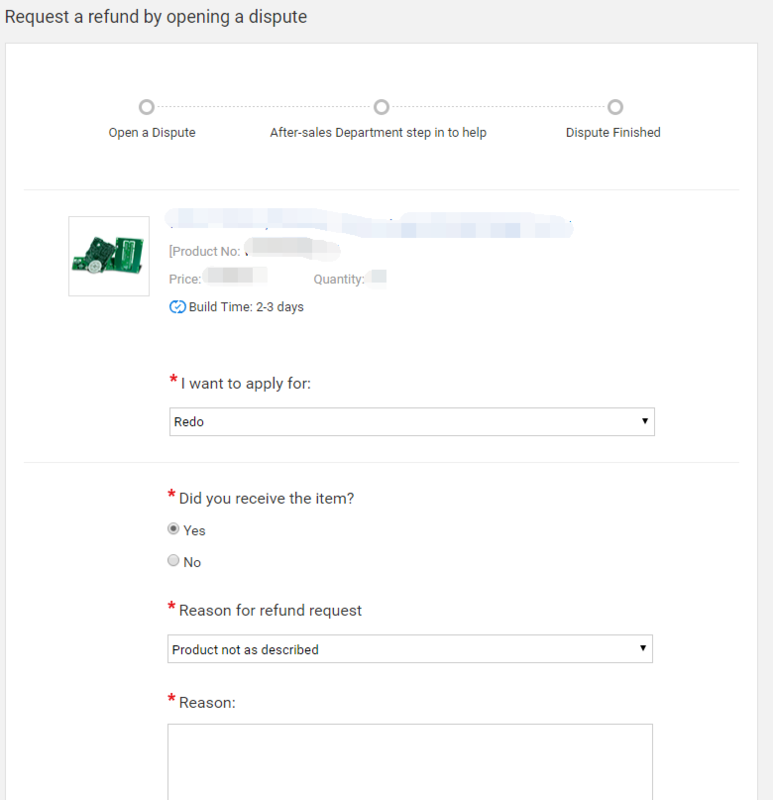 I don’t know how PCBWay generally deals with after-sale issues. To be honest I am a little nervous because I heard usually Chinese companies offer poorly after-sales service. I don’t know whether PCBWay will deal with such a small problem. It will be a loss for them if they reproduce and ship to me. It’s such a surprise! They took responsibility for their mistakes and reproduce the ruler in 24 hours. From here we can see that PCBWay has very high standards for themselves and care the feeling of clients. Now I receive the new ruler. It left a deep impression on me. I don’t think other companies’ after-sales service can compare with PCBWay’s. They are the “Amazon” in PCB prototype and assembly field.